Lazy wine marketers must stop recommending wine for its health benefits. It’s shameful, immoral and bad for business. The moment millennials find out that the wine industry is spreading deceiving information they will turn their backs towards wine forever. It happened with tobacco, it’s happening to milk, and guess what – it will happen to wine. Wine is an alcoholic beverage and alcohol is known for causing 7 different types of cancer. When we drink alcohol, it is turned in to a chemical called acetaldehyde, it causes cancer by damaging DNA. But how about resveratrol? According to Harvard Professor Dr. David Sinclair there is no science behind the claims that the resveratrol levels present in red wine have any health benefits. – You would have to drink 100 glasses of wine per day to reach beneficial levels, said Sinclair on his TEDx talk on the effects of resveratrol. – We don’t accept the idea that there are harmful agents in tobacco, said Philip Morris in 1964. Evidence of the statistical link between smoking and lung cancer had been piling up since the early fifties. In the face of mounting evidence against tobacco, the companies responded by creating doubt and controversy surrounding the health risks. If the tobacco companies would just have confirmed the heath concerns we would most likely have a more positive view of the tobacco industry today. Wine should learn from history and not repeat the mistakes of the past. According to Cancer Research UK, alcohol consumption causes 11,900 cases of cancer a year in the UK. These are very few scientists, if any, that recommends wine consumption for heath reasons. Despite of this lazy wine marketers are continuing to push their toxic ideas about wines health properties. We have all seen it. On winery blogs, in social media content och in winemakers interviews. Information about the health benefits of red wine have been spread for decades. And it all started with something called The French Paradox. The French Paradox refers to the notion that drinking wine may explain the relatively low rates of heart disease among the French, despite their fondness for cheese and fatty foods. But many experts argue that the paradox is now solved, that factors other than wine where accounting for the observation, such as lifestyle and dietary differences. – people who drink wine are more likely do so as part of a healthy pattern, such as drinking a glass or two with a nice meal. Those habits, rather than their choice of alcohol, may explain their heart health, said Dr. Kenneth Mukamal, at Harvard-affiliated BIDMC in Boston. A new report called `US Landscapes 2019´ from Wine Intelligence concludes that people under 35 are drinking less wine than they used to. Part of the reason is that millennials are more health focused than older generations. Findings such as these have resulted in a change in how many wine marketers are addressing young consumers. It is my own observation that an increasing amount of wineries are now pushing the health benefits of red wine. This is incredibly dangerous business practice. The moment a millennial feels cheated by a product category, they will turn against it. Look what is happening to cow milk, a beverage that many millennials argue was dishonest in their health claims. The total volume of milk sold in the United States retail between 2010 and 2015 declined by 13%. Milk should have focused on its superior flavour compared to its vegan options. Clever packaging, a good strategy for Tempranillo. In this series of posts we would like give a short introduction to the different bulk wine varietals we are broking. As you might well know, our ambition is to select the best bulk wines after every harvest. The quality should be noticeably better that the average, and the wineries we work with should be just eager and flexible as us. Tempranillo is a grape with a long history in Spain dating back to at least the thirteenth century. The birthplace is very likely to be the wine regions of Rioja and Navarra. Bunches are medium-sized (sometimes large) and compact, with with small thick skinned berries. The majority of the Tempranillo bulk wines comes from the vast arid highlands of Castilla La-Mancha, Spain. It’s possible to talk about regional differences in wine style in Castilla La-Mancha, but more important is the ambitions and capabilities of the growers and producers. The yields of Tempranillo in Spain depends on the vineyard site. Less qualitative areas bring large yields but lower color intensity, concentration and acidity. Finding the right cooperative or privately owned wine producer is tricky, there are hundreds of wine producers in Spain offering bulk wine Tempranillo. 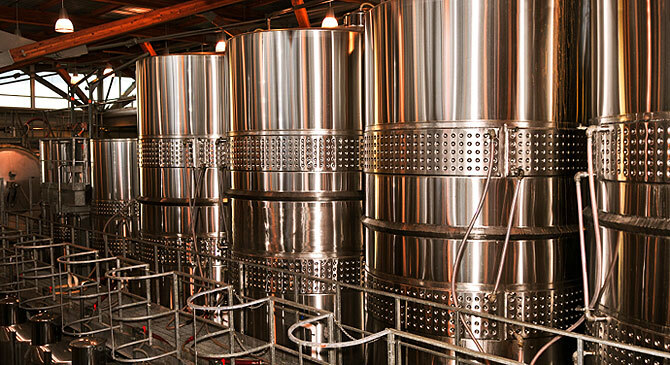 It’s a misstake to believe that the quality of commercial bulk wines derive exclusively from the vineyard, investments in good winery equipment will influence the end result to a great degree. Due to the large amount of Spanish Tempranillo available on the market every year, the price is commonly the lowest of the red varietals. This makes it very popular for entry-level wine brands, but also as the first red wine to introduce in new wine markets such as China or Nigeria. The character of Tempranillo bulk wines are generally soft and fruity, so most consumers are familiar with the taste profile. For consumers, the name Tempranillo says little about the quality of the wine. It adds no real value to the product, but doesn’t give any negative associations either. Therefore, we generally recommend not putting the emphasis on the wine grape, but in other concepts. Successful clients of ours have sometimes used humor and created laid-back wine concepts appreciated by wide consumer segments. Bulk wine buyers have very few specialised `essential´ sites, one of them is The Bulk Wine Club. Content is not free, but then again, most quality information seldom is. The Bulk Wine Club is essentially an on-line platform for the bulk wine industry, both sellers and buyers have a range of services they can benefit from. The club is run by World Bulk Wine Exhibition, something that for obvious reasons gives the club credibility is the founders. The World Bulk Wine Exhibition is by far the most important meeting for the bulk wine trade. If you’ve never been, I highly recommend it. This year is a bit special because they celebrate their 10th anniversary. The fair is on the 26th and 27th of November, always in Amsterdam. Below I’ll list the two membership benefits that I’m most exited about. This is not a complete list of benefits, just the ones I find the most powerful for my clients. One of my favourite parts of the platform is the news section, where they publish the latest bulk wine news, company reports, statistics and market studies. This is information that is really challenging to find from other sources. The same applies for the detailed and constantly updated information on bulk wine prices – this should be a resource for everybody trading in bulk wine. A service I hope they continue to develop is the bulk wine related events. The first one, to my knowledge will be the California Business Wine Tour on the 24th to the 26th of June. This is a quite unique opportunity to gain first-hand knowledge about the bulk wine market in the United States. The event seems to be packed with keynotes, face-to-face meetings, winery visits and more. Events like these serve an important role in opening up the bulk wine industry to newcomers and I’ll hope to see more of these in the future. What is Premium Wine Broker? Massive demand and growth in premium bulk wines. Premium private labels are growing fast at the moment. Because of the good news above, the prices of bulk wine in Spain has stopped rising. Spain is the most competitive bulk wine producer in the spring of 2018. Why do I need a wine broker? Why do I need a wine broker? We are not swimming in a sea of wine anymore, the wine world has changed. New wine buyers can only access wines if they go through a broker with established connections.